Lost & Found booths will be located on the grounds during and between festival hours. 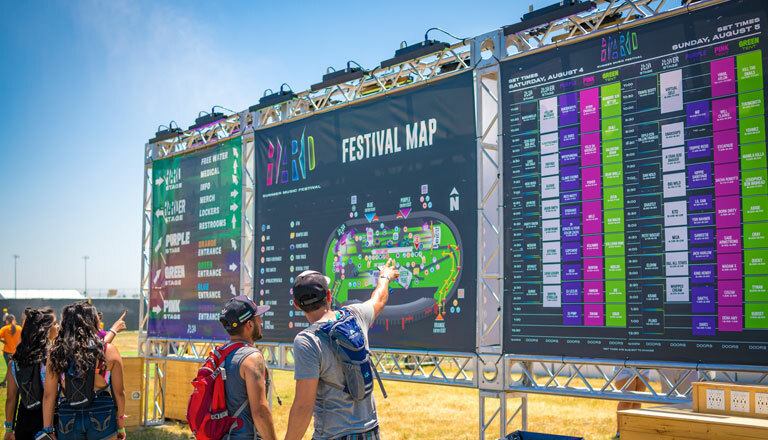 After the close of the festival, phones, wallets, IDs, passports, credit cards, prescription glasses and tech items (such as cameras or portable charges) will be held at an off-site location. Maximum height is 5 feet. Totems promoting illegal activity or hate speech will not be permitted. Please keep it positive.